Kashmir tour package takes the tourists to some of the most scenic hill stations of India. The moment a person reaches Kashmir, the terrain of this beautiful land casts its spell and a person gets mesmerised by the picture-perfect landscape of Kashmir. Kashmir Packages are generally designed in a way that the tourists are able to visit Srinagar, Pahalgam, Gulmarg and Sonmarg. One of the must experience thing in Kashmir tours is staying in a Houseboat either at the Dal Lake or at Nigeen Lake or both. Way India's Kashmir Tour Package is designed to make your stay in houseboat both at Dal Lake as well as Nigeen Lake in Srinagar. Upon visiting the beautiful Kashmir tours valley, Mughal Emperor Jahangir had remarked: "If there is paradise on earth, it is here, it is here".This statement of Mughal Emperor is as true now as it was when the king had visited Kashmir. The valley of Kashmir in and around is so beautiful that at the very first sight ,you will fall in love with it. In fact, the charm and magnificence of Kashmir are beyond the scope of mere words and one needs to witness the beauty of Kashmir to believe it. Arrive at Srinagar Airport where our representative shall meet you and assist you in your transfer to pre-booked Houseboat. As you drive from Srinagar Airport to the city, you would be mesmerised by the sheer scenic beauty of this paradise on Earth. Later as you reach Srinagar city, proceed to the jetty where a Shikara (a small boat) will be waiting to take you to the houseboat. Upon arrival at houseboat, check-in and relax. 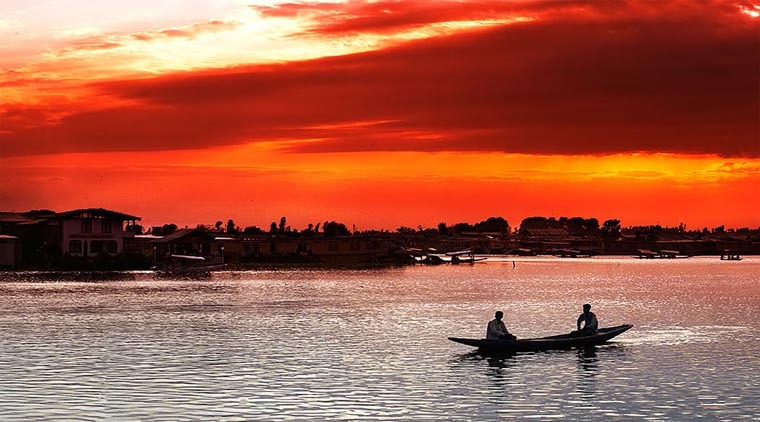 Later, in the evening, enjoy another Shikara ride on Dal Lake and enjoy the sunset. Dinner & overnight stay at Houseboat. Get up early and enjoy your tea on the deck of your houseboat. 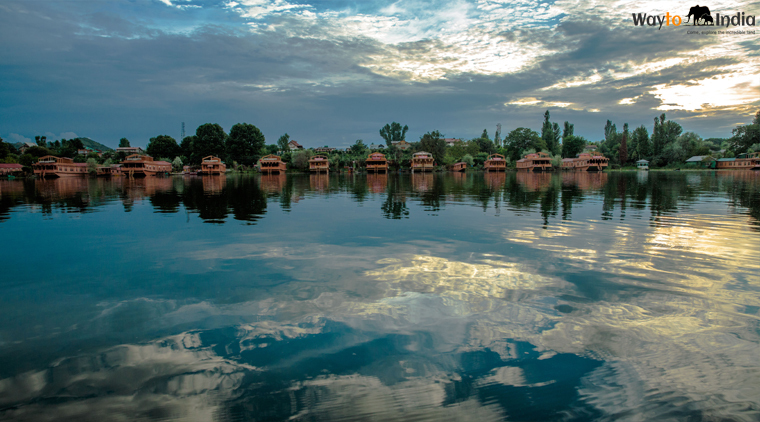 The serenity of the pristine waters of Dal Lake with reflections of houseboats and Shikara would make you feel as if heaven has descended on Earth. Later, enjoy breakfast before leaving for a half day sightseeing tour of Srinagar. Some of the must-visit places in Srinagar are the Nishat Bagh, Shalimar Bagh, Pari Mahal, Chashme-Shahi, Shankaracharya Temple and Hazratbal Shrine. After lunch, enjoy another Shikara ride on The Dal Lake. Rest of the time shall be to relax in the houseboat. Dinner and overnight stay at Houseboat. After breakfast drive to Gulmarg, the most beautiful summer resort valley. It is popular for its golf course which is the highest in the world and skiing during the winter season. (prior bookings may be required for which one may visit the website of Gulmarg Gondola to pre-book your tickets for Gangola ride in Gulmarg). Return ticket for the first phase is Rs 700/- per person and that of the second phase is Rs 900/- per person. It takes about 10 minutes to reach the first stage of Kungdoor. There are horses which one may take to some hot springs from Kungdoor. However, remember that you get only about 3 hours and thus in case you wish to take the second stage to Mt. Afarwat also, do not stop at Kungdoor. Rather go upto Mt. Afarwat and if you are lucky and the weather is clear, you may also spot Nanga Parbat. Return back to the hotel in the evening. Dinner & Overnight stay at the hotel. After breakfast, drive to Pahalgam. Pahalgam is a beautiful and famous hill station in the Anantnag district of Jammu and Kashmir. While you are driving to Pahalgam, you would find several Saffron fields and shops selling saffron and dry fruits adjacent to the road. You may stop over briefly and buy some saffron which is one of the famous things to buy while you are in Kashmir. You may also savour Kahwah (Kahwah is a traditional green tea preparation consumed in Kashmir and is quite aromatic) which is generally served to the customers who stopover at these roadside shops. As you drive a little further from Srinagar(about 35 Kms) you would find Awantipur ruins(Ruins of temples named after King Avantivarman, the founder of Utpala Dynasty who ruled Kashmir between 855 A.D to 883 A.D ) where you may stopover briefly. Later continue your drive to Pahalgam. Just about 20-25 Kms short of Pahalgam once you cross Sakhras, you would find a bridge over river Lidder with its crystal clear water flowing beside the road. Stop over briefly for a photo opportunity as it is a very scenic place. Slowly you will start realizing what makes people say that Kashmir is a paradise on Earth. Drive further to reach Pahalgam. Upon arrival, check-in at the hotel. Dinner & Night stay in Pahalgam. This is the day to enjoy the beauty of the Pahalgam valley. Enjoy dinner & Overnight stay in Pahalgam. After breakfast leave for Pahalgam and drive back to Srinagar. Upon arrival check-in at the hotel. Rest of the day shall be free at leisure. Dinner & Overnight stay in Srinagar. After breakfast, proceed for a full day excursion to Sonmarg. En-route a little further from Wayul, besides the river, stopover for Lunch and thereafter continue your drive to Sonmarg (Meadow of Gold). Sonmarg is the Gateway to Ladakh as it is on this road only that one can drive further to Kargil and Leh after crossing Zoji La pass. Few of the places you may visit near Sonmarg are Thajiwas Glacier, Kheer Bhawani Temple and Gadsar Lake depending upon the time in hand. Later return back to Srinagar and check-in at Houseboat in the evening, this time at Nigeen Lake. Enjoy dinner & Overnight stay at Houseboat. Morning after breakfast transfer to airport to board the onward flight. Tour services end with memories to cherish for rest of your life. •	07 Nights accommodation in hotels and houseboat on twin sharing basis. •	Daily breakfast in the hotel and all meals in Houseboat(if not going for sightseeing). •	Transport services by an exclusive Car with a tourist driver as per above itinerary. •	All state taxes, toll tax, parking, driver allowance, fuel charges. •	All present applicable taxes. To understand the best time to for Kashmir tour package, you need to understand about the best time to visit the scenic places like Pahalgam, Srinagar, Gulmarg & Sonamarg. Kashmir tour package certainly takes the tourists to some of the perfect and most beautiful hill station of the world. The months of March to June are moderate summer months in Pahalgam when the valley is in bloom. The temperatures are around a maximum of 25° C and a minimum of about 12° C.
It is during the summer months, the famous Amarnath Yatra takes places from Chandanwari about 16 km ahead of Pahalgam. July to September are the monsoon months and are humid. It is better to avoid these months. October to February are winter months when it snows heavily and it becomes very chilly during these months and a white blanket descends upon Pahalgam. For those who wish to experience snowfall in Pahalgam, particularly the honeymooners, winters is the best time to visit. Although Srinagar has a pleasant climate almost throughout the year, yet the best time to visit Srinagar is from April to October. This is because the valley is at its zenith of beauty owing to flowers blossoming everywhere.It is in the months of March-April, the Tulip festival is organised in Srinagar when the Tulip gardens are full of multi-coloured tulips. 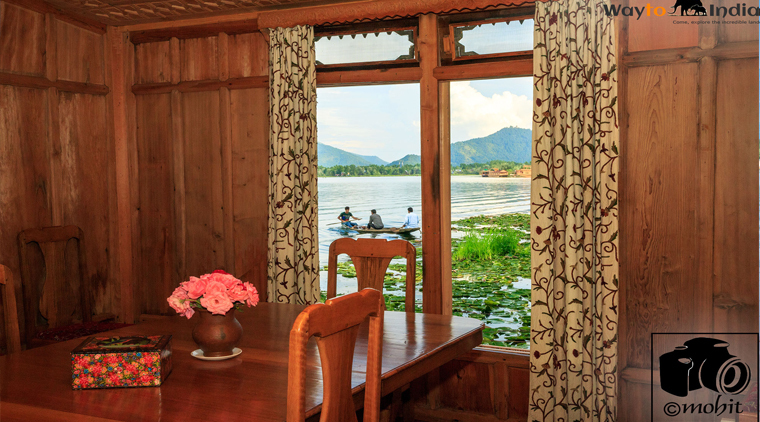 One must stay in a houseboat when in Srinagar during Kashmir Holiday Packages in India. 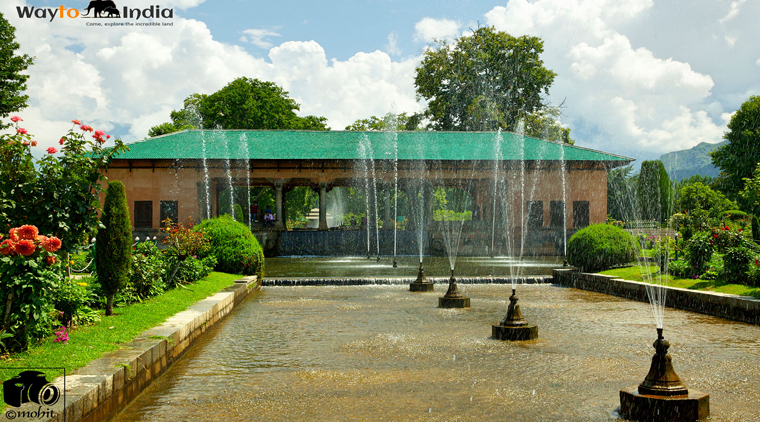 The months of April to September are summer months in Srinagar when the valley is in bloom.The temperatures are around a maximum of 30° C and a minimum of about 15° C.
One must also spend a good amount of time in beautiful Mughal gardens of Srinagar. Winters in Srinagar are between months of October and March when the range of temperature is between a maximum of 15° C and a minimum of about 0° C.
The months of March to May are summer months in Gulmarg .The temperatures are around a maximum of 28° C and a minimum of about 11° C.
One can take a Gondola and visit Mt Afarwat and hopefully would be able to see the snow. July to August are the monsoon months with mild rainfall. These months should be avoided. November to February are winter months when it snows heavily and a white blanket of snow descends upon Gulmarg. Winters is the best season to visit for those who wish to experience snowfall in Gulmarg, particularly the honeymooners and those who wish to learn or experience Skiing in Gulmarg. In winters temperatures are around a maximum of 10° C and a minimum of about -4° C.
In fact Gulmarg Pahalgam together are not to be missed destinations during Kashmir Tour Package. The months of April to June are summer months in Sonmarg .The temperatures are around a maximum of 29° C and a minimum of about 9° C.
July to August are the monsoon months with mild rainfall. November to March are winter months when it snows and temperatures are around a maximum of 14° C and a minimum of about -3° C.
Aru Valley: Driving along on the road adjacent to Lidder river upstream for about 12 km, one reaches Aru Valley. Aru valley is a small tourist village and is a base camp for trekking to Kolahoi glacier and Tarsar Marsar. Betaab Valley: Driving about 12 km towards Chandanwari (on the Amarnath Yatra route) one reaches the famous Betaab Valley. Betaab valley became famous for the Bollywood flick by the same name starring Sunny Deol and Amrita Singh. With snow clad peaks around the lush green carpet of grass and pine and deodar forests, Betaab Valley is a must visit place near Pahalgam. Baisaran: Located about 5 Kms from Pahalgam town, Baisaran is a lush green meadow surrounded by lofty mountains which are so beautiful that they mesmerize the visitors. Chandanwari: The starting point of the Amarnath Yatra from where those who trek to the holy cave start their trekking, Chandanwari is another tourist spot which is about 16 km from Pahalgam and a must visit destination. It is important to note that the local taxi unions of Pahalgam do not let the taxis from Srinagar or other places ferry the tourists. Thus, in case you wish to visit Aru Valley, Betaab Valley and Chandanwari, you may hire a local taxi which would cost you about Rs 1400/- for a Maruti Van, Rs 1600/- for a Tata Sumo and Rs 1800/- for a Tavera or Innova. Tourist Taxi Union office is located near Lalkothi in main Market of Pahalgam. Their phone numbers are 01936 – 243120, 01936 - 243320. If you are an experienced trekker, you may plan a Kolahoi Glacier Trek from Aru Valley. If you are a beginner, you may still plan a trek from Aru to Lidderwat. Another exciting trek is to Tulian Lake via Baisaran & Kanimarg which needs about 3 days. Those who are keen into Golfing may enjoy Golf at Pahalgam Golf Course located at the height of about 7250 feet above mean sea level..
White water rafting can be tried at Pahalgam. One such rafting expeditions suited for beginers starts from Yarganpal and finshes at Yaneed bridge which is about 3 Kms rafting experience for which Rs 500/- per person is charged. Mamar Long Ride is another trek which may be experienced.It starts at Mamar and finshes at Satrun Margund after covering 8 km distance .